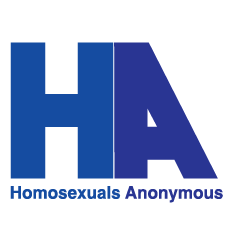 HA Online is a worldwide ministry of Homosexuals Anonymous dedicated to those who do not have access to local chapters or simply want to stay completely anonymous. HA Online works with the 14 steps of HA. Each online group has its own moderator. You can register anytime and stay for as long as you wish - it is free of charge. Also it is non-denominational. You do not even have to be a Christian. All we ask of you is the will to seek freedom of homosexuality and the dedication to invest some time for that every week. The program itself is Christian-based, so you should at least be open for that. If you want more information, please contact free32@gmx.de. Notice, however, that you have to be adult to take part in this. At the moment, we only have a group for men online. NEW: WE ALSO OFFER ONLINE SKYPE GROUP MEETINGS AND COUNSELING! From Homosexual to New Creation from Pure Passion on Vimeo.